pushed in (Table 2-1, 8). (1) Using 7/16-in. wrench, remove two bolts (1) from drive pulley bushing (2). (2) Remove bushing (2) and key (3) from drive pulley sheave (4). 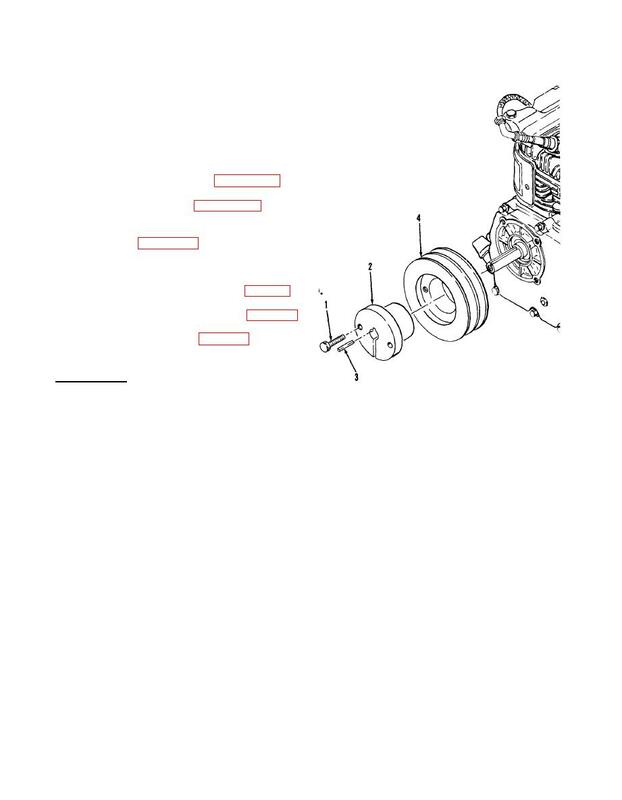 (3) Pull sheave (4) from engine crankshaft. (1) Push drive pulley sheave (4) onto engine crankshaft. (2) Align key (3) and bushing (2) and push them onto engine crankshaft. (3) Align two bolt holes in bushing with two bolt holes in sheave and insert two bolts. (4) Using 7/16-in. wrench, tighten bolts.